To the north of King’s Cross and St Pancras International railway stations, 67-acres of derelict land are being transformed in what is one of Europe’s largest urban regeneration projects. 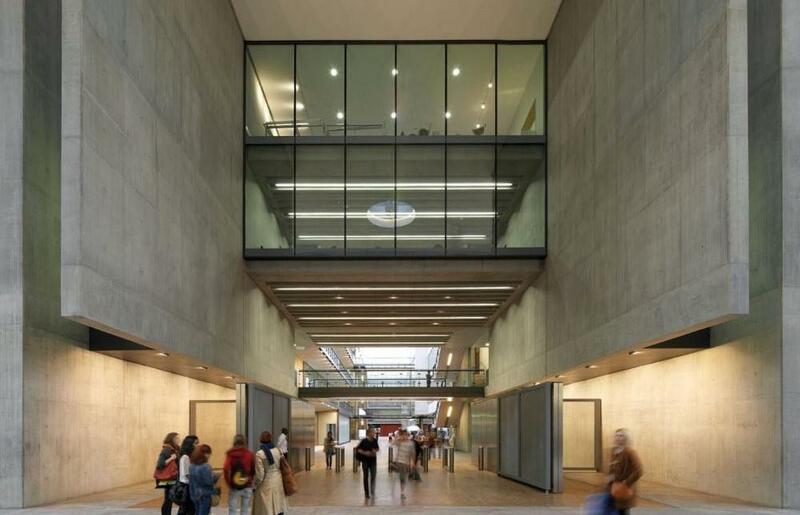 The result will be a vibrant mixed-use quarter, at the physical and creative heart of which will be the new University of the Arts London campus, home of Central Saint Martins College of Arts and Design. 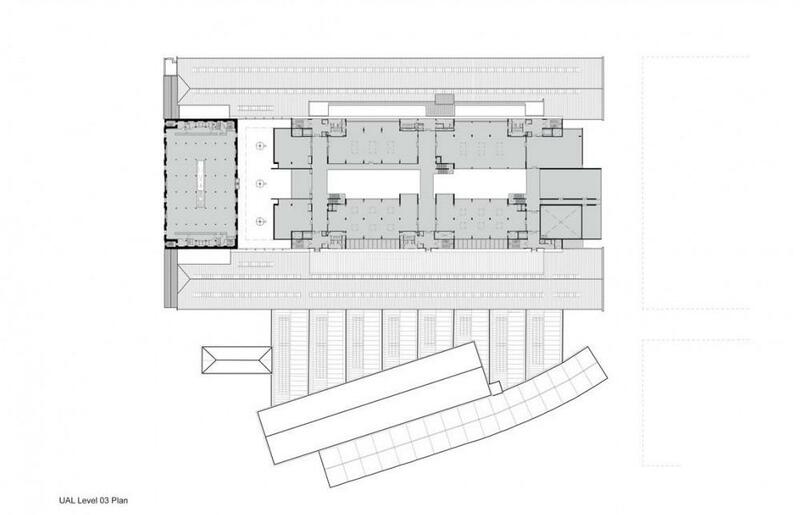 Stanton Williams’ design for the new campus unites the college’s activities under one roof for the first time. 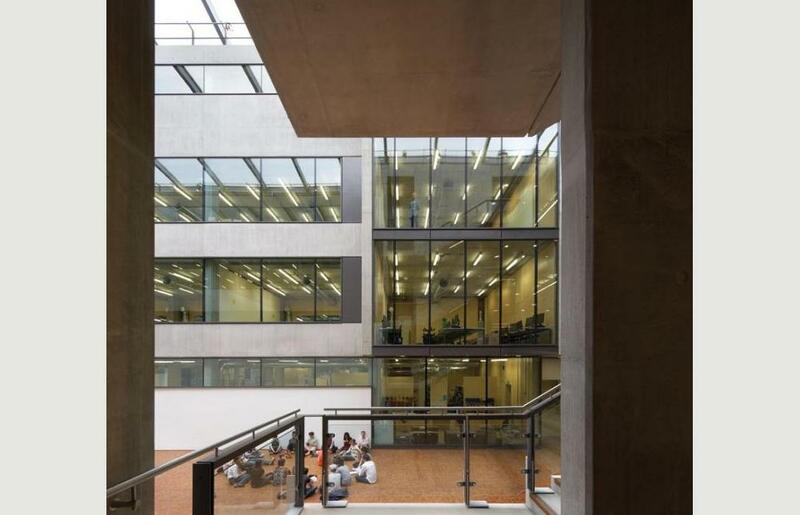 It provides Central Saint Martins with a substantial new building, connected at its southern end to the Granary Building, a rugged survivor of the area’s industrial past. 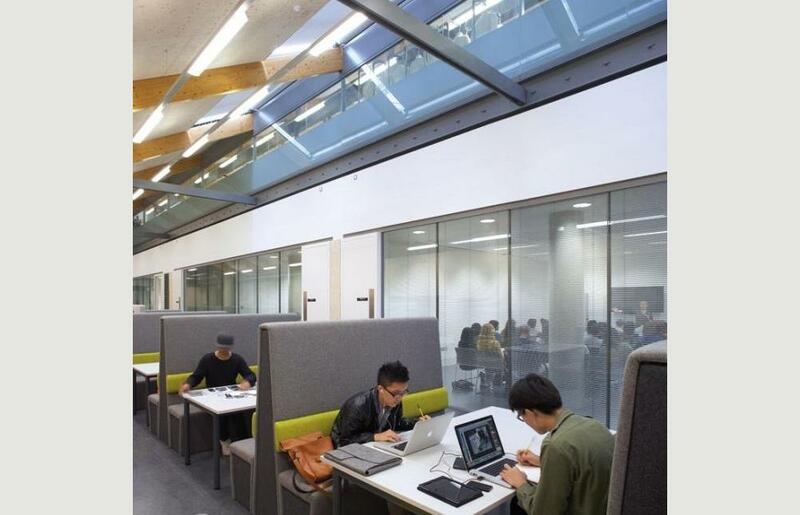 The result is a state-of-the-art facility that not only functions as a practical solution to the college’s needs but also aims to stimulate creativity, dialogue and student collaboration. A stage for transformation, a framework of flexible spaces that can be orchestrated and transformed over time by staff and students where new interactions and interventions, chance and experimentation can create that slip-steam between disciplines, enhancing the student experience. 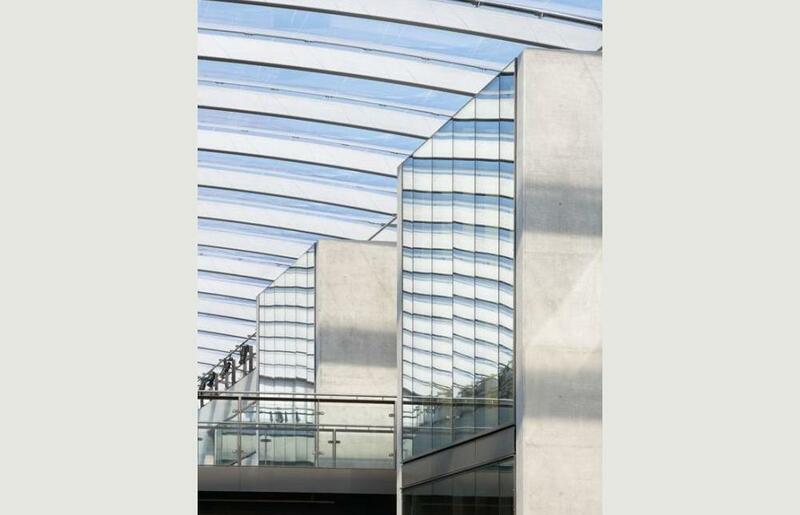 The coming together of all the schools of Central Saint Martins will open up that potential. 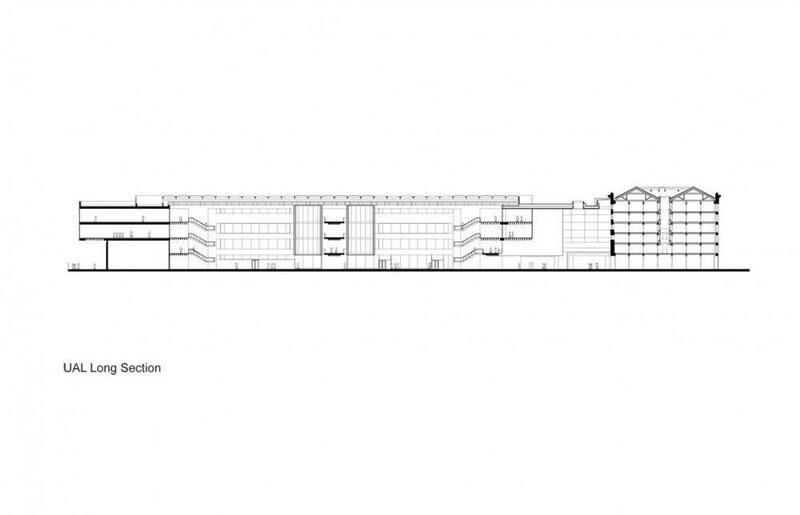 The design aims to maximise the connections between departments within the building, with student and material movement being considered 3-dimensionally, as a flow diagram North to South, East to West, and up and down – similar in many ways to how the grain was distributed around the site using wagons and turntables. King’s Cross offered a unique opportunity: a large site within what promises to be a creative and cultural hub, connected (via King’s Cross Station and the restored St Pancras International) not only to the rest of Britain but also to mainland Europe, plus the chance to develop a robust contemporary architectural response to the boldness of the existing buildings on the site. 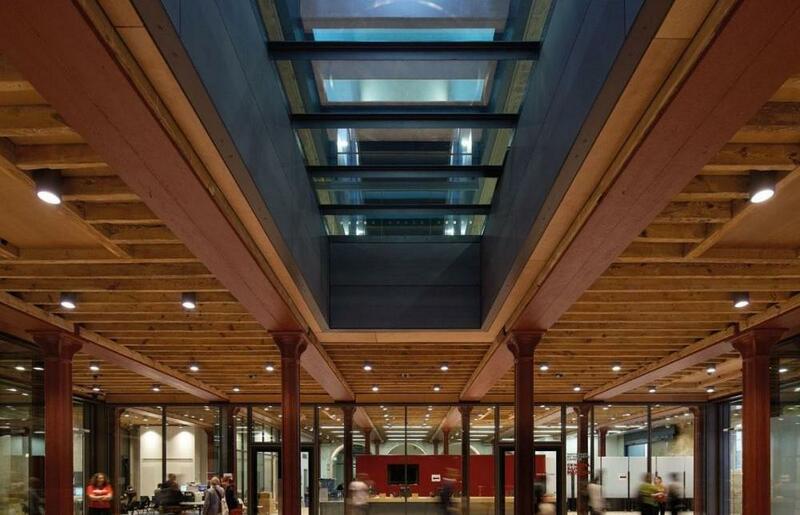 The Granary Building itself has been restored as the main ‘front’ of the college, facing a new public square that steps down to the Regent’s Canal. The building was designed in 1851 to receive grain from the wheat fields of Lincolnshire, unloaded here from railway wagons onto canal boats for onward transport to the capital’s bakeries. 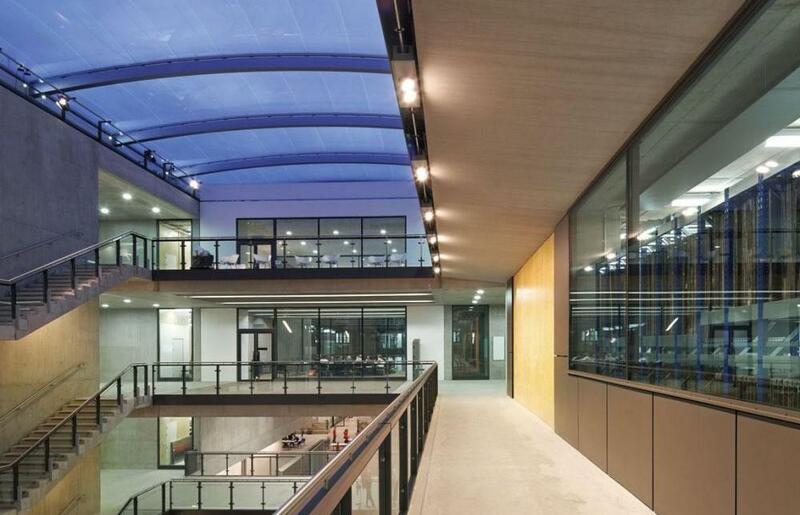 It comprises a solid, six-storey cubic mass, with an unadorned, 50-metre wide brick elevation, extended to 100-metres by office additions flanking the building. 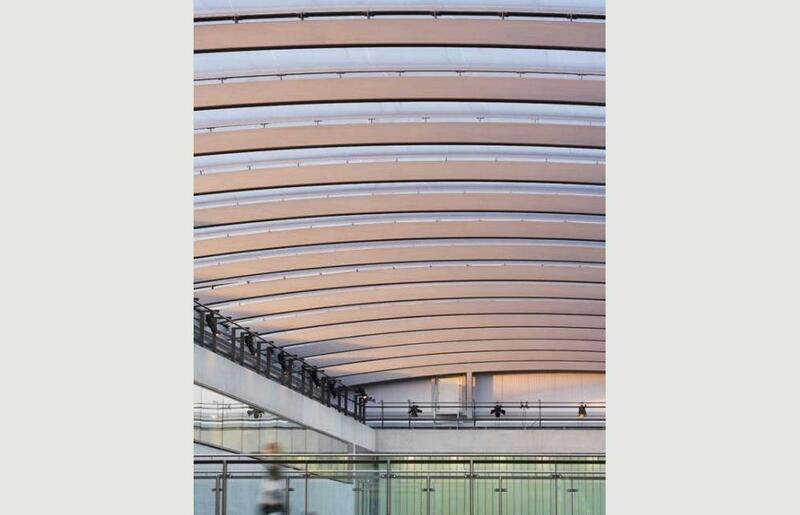 To the north, located one to each side of the Granary Building, are two parallel 180 metres long Transit Sheds. 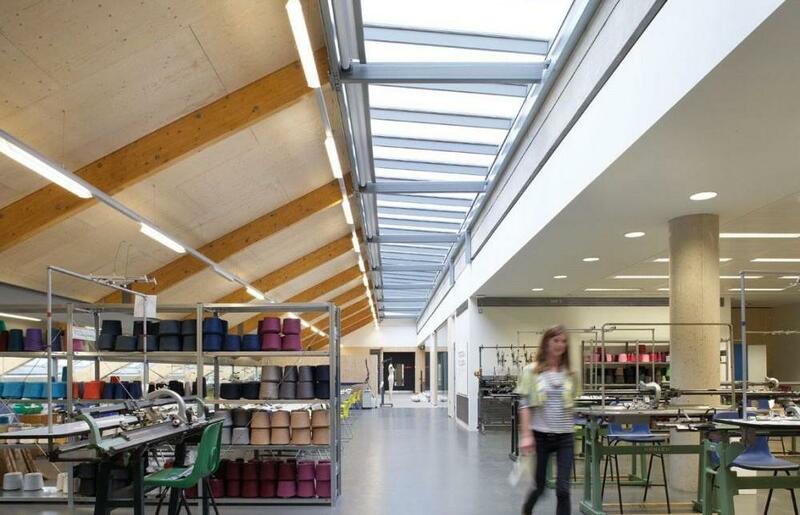 The design strategy retains the Granary Building, adapted to include functions such as the college’s library, while the Eastern Transit Shed behind is converted to create spectacular workshops for the college. 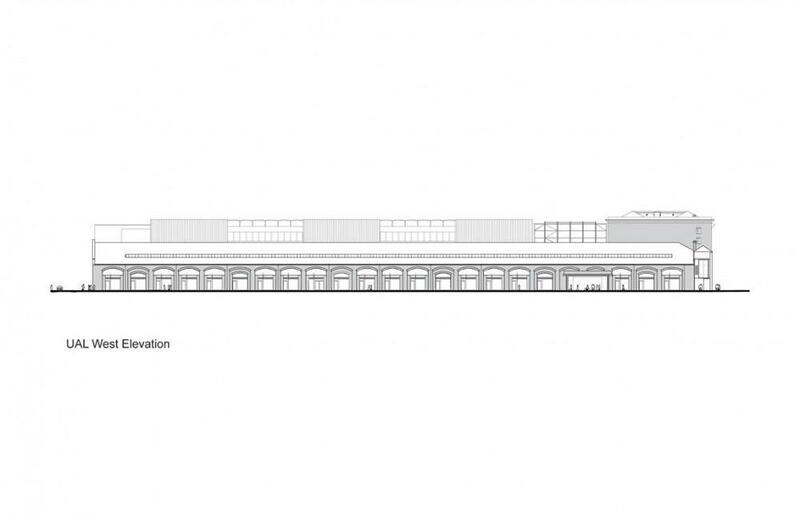 Within the street-level openings of the Western Transit Shed, new shops and bars will add further life to the area. The historic horse stables below the Eastern Transit Sheds have been transformed to new cycle stores for students and staff. 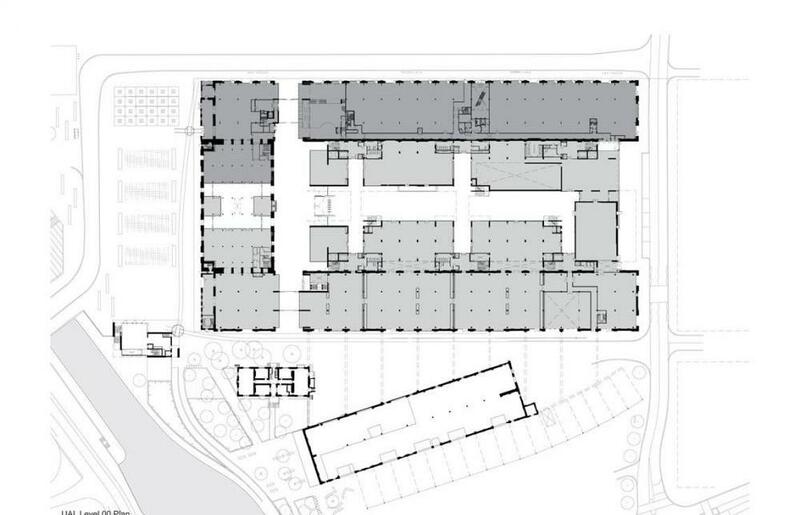 The bulk of the college’s accommodation, however, is located in a major addition to the site, two substantial new studio buildings that occupy he space between the two transit sheds and which, at the North end of the site present a contemporary elevation to the surrounding area. 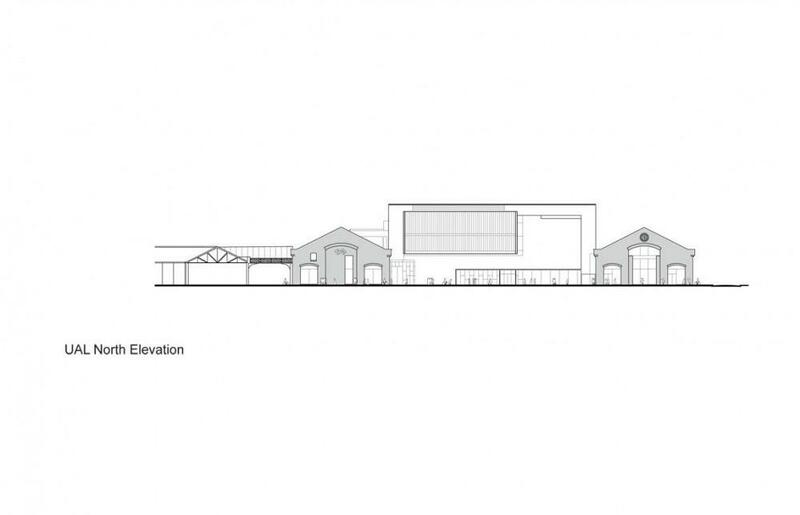 The scale of the new addition responds closely to that of the Granary Building, essentially continuing its assing along the length of the site. 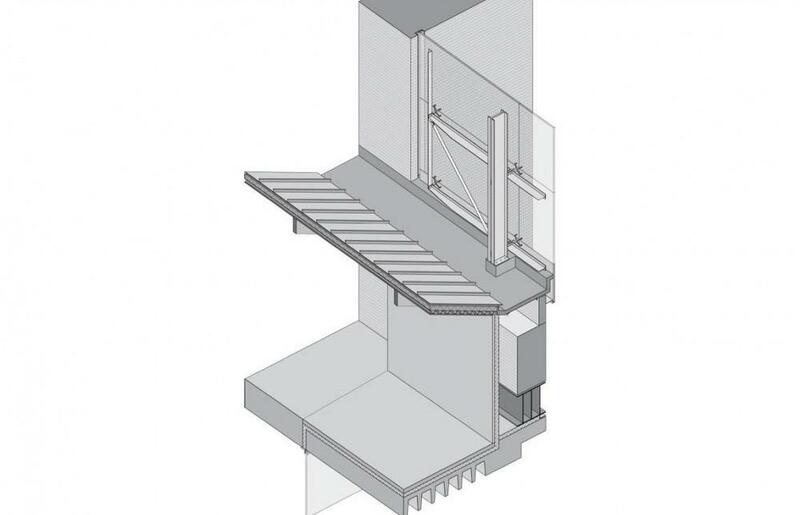 It rises above the level of the transit sheds, using contemporary materials so that it will stand, beacon-like, as a symbol of the college’s presence within this rapidly-evolving part of London. 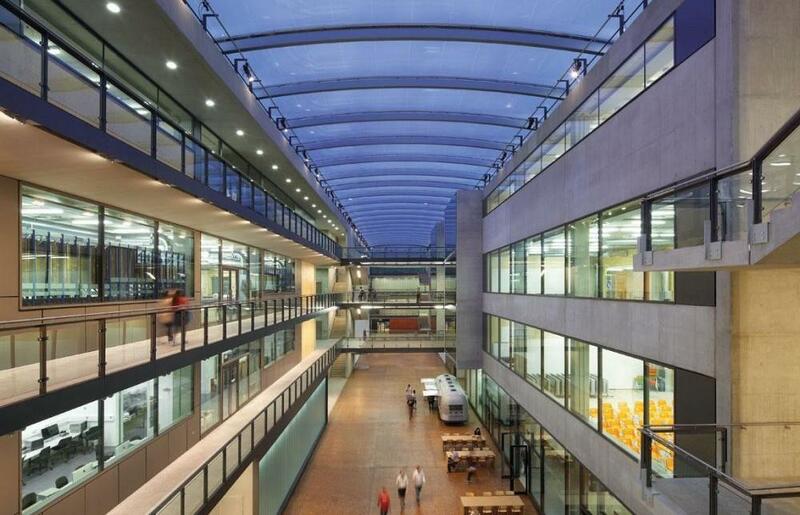 The two new four storey studio buildings are arranged at either side of a covered central ‘street’, some 110m long, 12m wide and 20m high, covered by a translucent ETFE roof and punctuated by a regular rhythm of service cores that accommodate lifts, stairs and toilets. 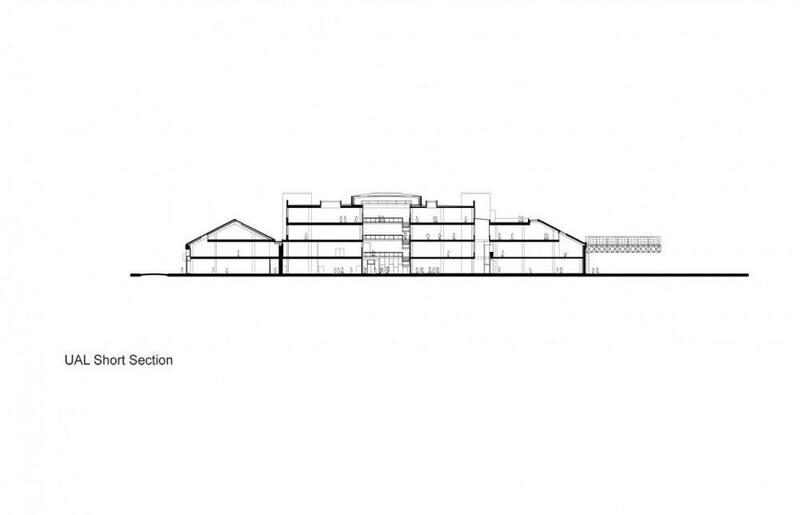 At the northern end, a new centre for the Performing Arts will house a fully equipped theatre complete with fly-tower as well as rehearsal and teaching spaces. 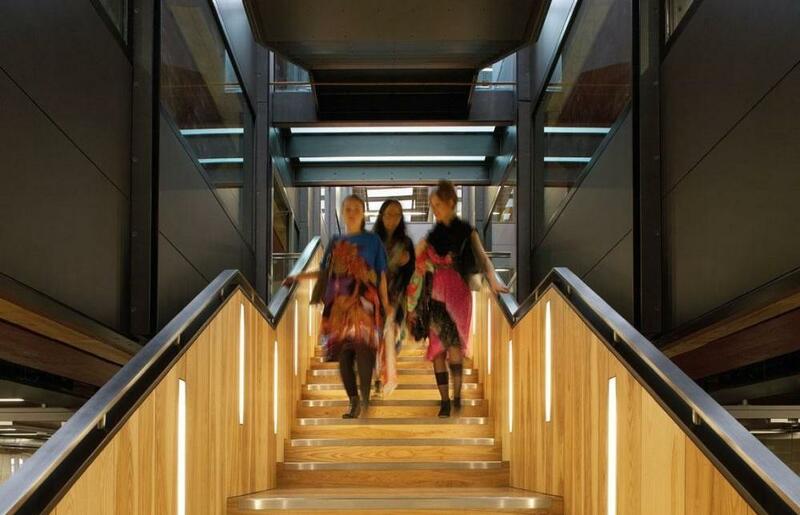 The internal ‘street’ has been conceived as a dynamic area, an arena for student life, akin to the much-loved stair at the centre of the college’s previous main building. Bridges linking the various cores and workspaces cross it, offering break-out areas for meeting, relaxing and people-watching and exchanging ideas. 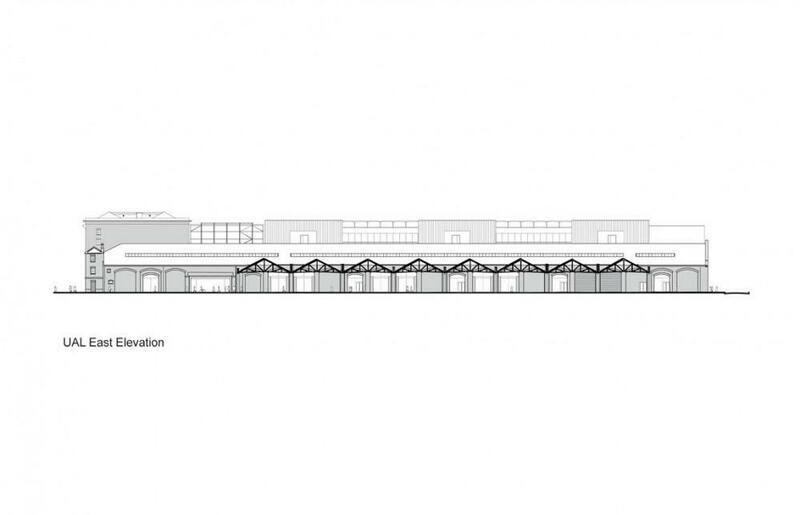 The street will be used for exhibitions, fashion shows and performances, the spaces being large enough to build temporary pavilions for example. 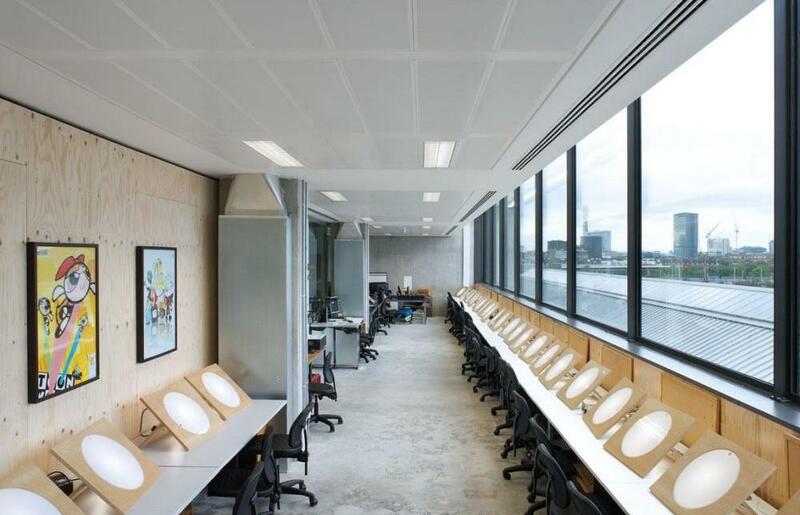 Viewing points allow students to watch others working or performing, and the work of other disciplines can be seen and exhibited. 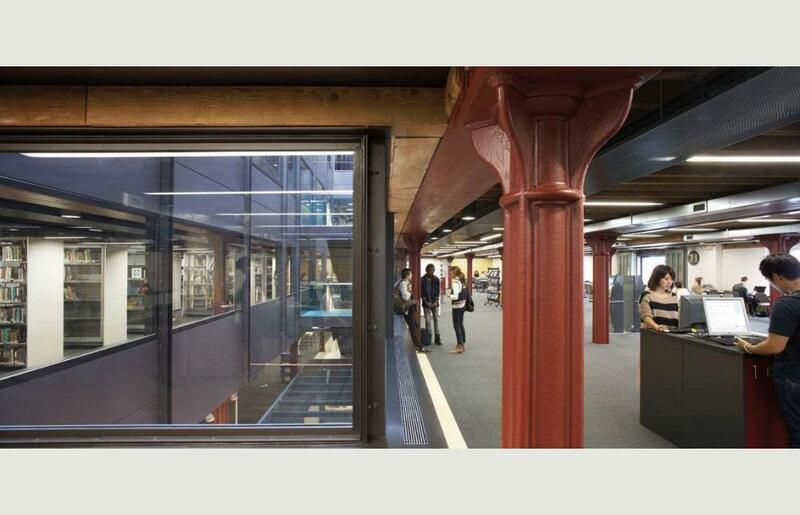 At the southern end of the new block and running parallel with the north end of the Granary Building is a second covered ‘street’, offering public access through this part of the building interior. 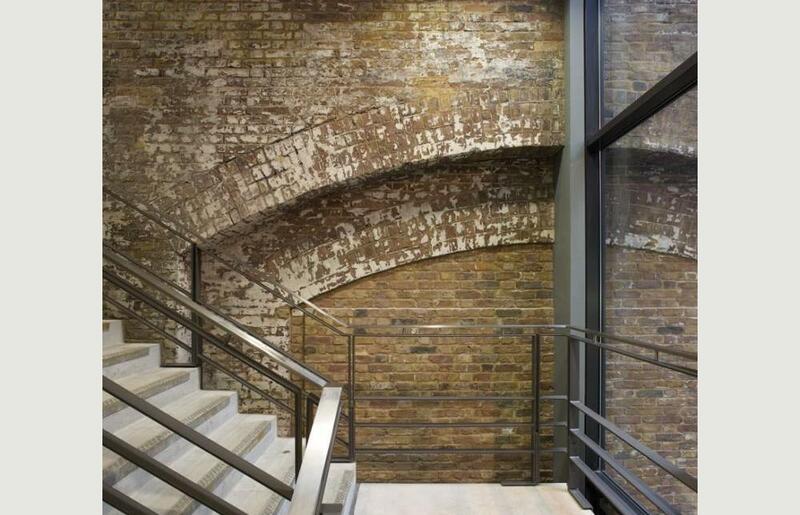 Lifts rising through this space recall the vertical movement of grain, which gave the complex its original purpose. 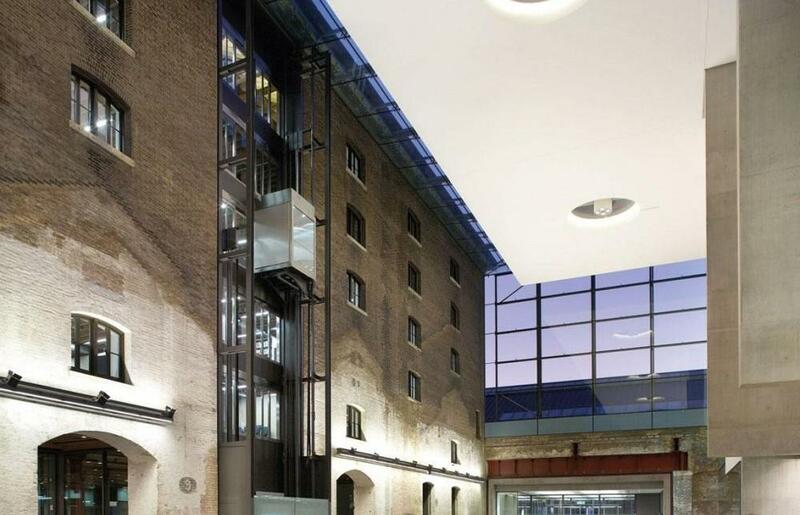 Flooring details either retain existing turntables or hint at their historic location, while within the Granary Building itself, the hoists have been retained, crowning a newly inserted lightwell. 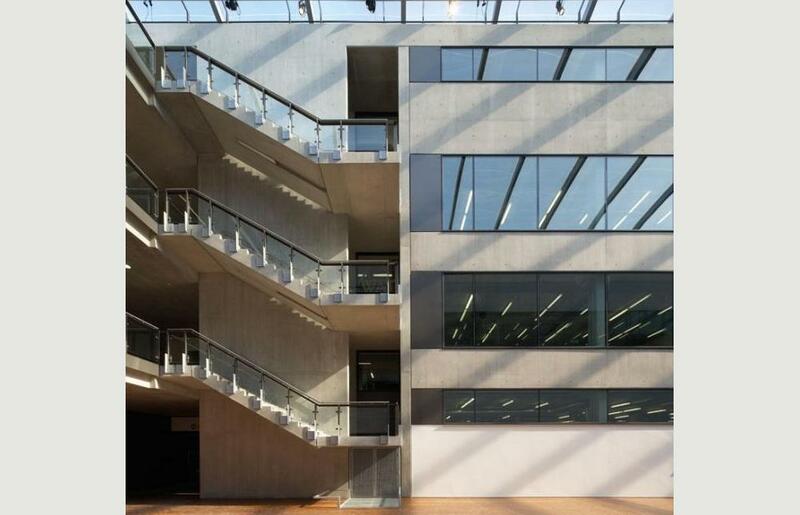 Simple glazing maintain the integrity of the unbroken openings, rhythmically punctuating the Granary Building’s main façade. 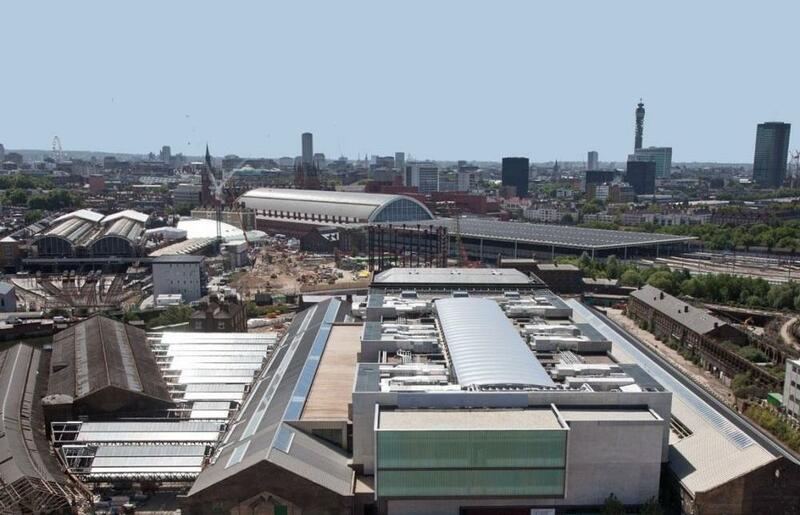 The new University of the Arts London campus is one of the first parts of the King’s Cross development to be completed. 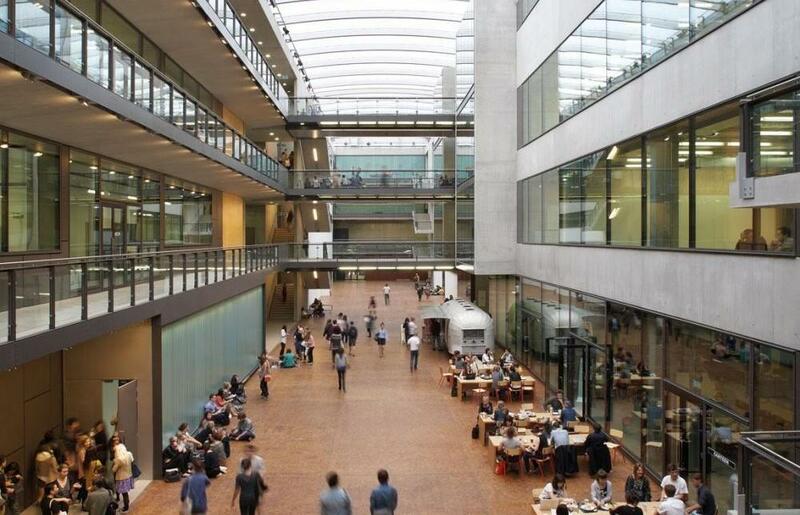 As such, it not only provides Central Saint Martins with the flexible and dynamic spaces that it needs to educate and develop the artists and designers of the future, but also makes a firm statement of the role of the Arts in the quarter, to which it will give critical mass and energy.